Shana Feste at the screening of "Country Strong." Shana Feste at the ELLE's 17th Annual Women in Hollywood Tribute. Shana Feste and Gwyneth Paltrow at the ELLE's 17th Annual Women in Hollywood Tribute. Shana Feste and Mark Urman at the after party of the premiere of "The Greatest." Carey Mulligan and Shana Feste at the after party of the premiere of "The Greatest." Gwyneth Paltrow, Leighton Meester and Shana Feste at the premiere of "Country Strong." Shana Feste at the premiere of "Country Strong." Garrett Hedlund, Shana Feste and Leighton Meester at the screening of "Country Strong." Shana Feste, Jenno Topping and Lia Vollack at the screening of "Country Strong." Composer Michael Brook and Shana Feste at the screening of "Country Strong." Producer Jenno Topping and Shana Feste at the screening of "Country Strong." Shana Feste and Tobey Maguire at the premiere of "The Greatest." 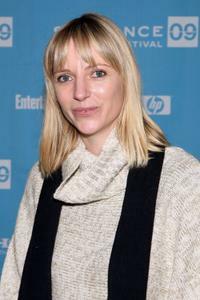 Shana Feste at the screening of "The Greatest" during the 2009 Sundance Film Festival. Zoe Kravitz, Johnny Simmons and Shana Feste at the screening of "The Greatest" during the 2009 Sundance Film Festival. Shana Feste at the premiere of "The Greatest."